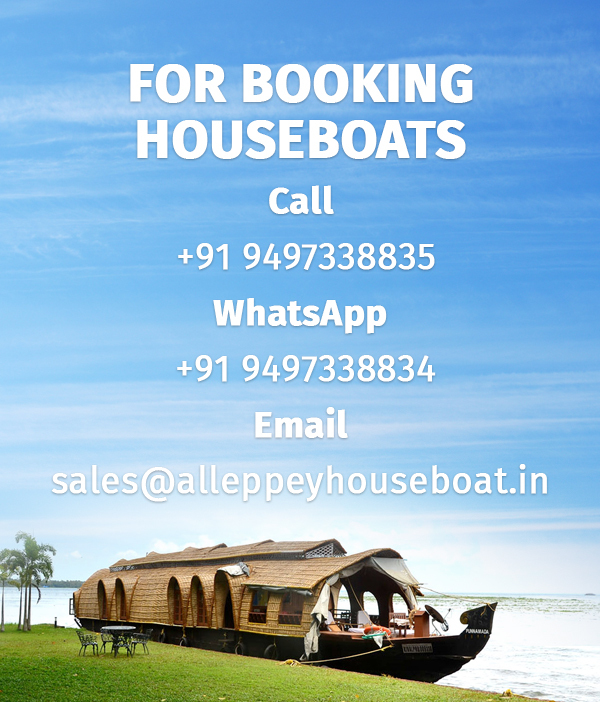 Normally booked for corporate meetings and other business purposes 5-bedroom houseboats are large vessels that can accommodate 10- 15 guests. They are of Deluxe, Premium and Luxury categories with bedrooms, attached bathrooms, living area, upper decks, kitchen and conference rooms. The guests are served lunch, evening tea, dinner and breakfast, prepared by the crew onboard. Traditional Kerala cuisine is served, and any dietary preferences can be informed beforehand. Relax and enjoy the emerald green waters, the bustling activity of rural lives and the breath-taking views that the cruise is sure to engage you in.